When the protein ATAXIN1 accumulates in neurons it causes a neurodegenerative condition called spinocerebellar ataxia type 1 (SCA1), a rare disease characterized by progressive problems with balance and breathing difficulties. ATAXIN1 accumulates because of a mutation that produces an abnormal, very long version of the protein that forms clumps inside neurons. However, how accumulation of longer ATAXIN1, called polyQ-ATAXIN1, leads to neurodegeneration has remained a mystery. A group of researchers at Baylor College of Medicine, Texas Children's Hospital and the University of Minnesota reports in the journal Neuron that polyQ-ATAXIN1 and a partner molecule called capicua form a complex that is essential for neurodegeneration. They discovered that this complex is able to disrupt the expression of a number of genes in neurons in animal models of the disease. Patients with SCA1 present with similar disruption of gene expression. This discovery can potentially lead to the design of novel therapies to treat the condition. "We wanted to understand how the accumulation of polyQ-ATAXIN1 triggers neurodegeneration," said first author Dr. Maxime Rousseaux, assistant professor of molecular and human genetics at Baylor College of Medicine. "To answer this question we worked with a mouse model of SCA1." The researchers found that when polyQ-ATAXIN1 accumulates, it remains longer inside neurons, which provides opportunities for interacting more with its usual molecular partners. One of them is capicua, a protein that is important for the regulation of gene expression. The Zoghbi lab collaboratively with the laboratory of Dr. Harry T. Orr at University of Minnesota, investigated how polyQ-ATAXIN1 forming a complex with capicua affected the normal function of the complex. The normal ATAXIN1-capicua complex is known to be crucial for various developmental functions in other bodily tissues, so the researchers investigated whether this complex was also important for cerebellar function. "We were surprised to find that when we removed ATAXIN1 or capicua completely from the cerebellum of mice, so no ATAXIN1-capicua complex could be formed, the animals lived a normal lifespan without neurodegeneration," said Rousseaux. "So, loss of the normal complex in the cerebellum does not result in SCA1 nor does it affect the normal development of this brain region. This suggests that the normal role of ATAXIN1-capicua complexes in the cerebellum is more subtle than in other brain areas." On the other hand, the authors thought that the formation of polyQ-ATAXIN1-capicua complexes in the cerebellum may underlie some of the typical features of SCA1. The researchers showed that the formation of this complex is sufficient to trigger SCA1 in mice. When they altered polyQ-ATAXIN1 so it could not form a complex with capicua, the animals did not develop the condition, even though polyQ-ATAXIN1 still accumulated in their neurons. Having pinpointed that it is this protein interaction that drives toxicity, the researchers were able to discard the possibility that other mechanisms, such as ATAXIN1 RNA, also participate in the development of SCA1. "We have learned that only when polyQ-ATAXIN1 can form a complex with capicua does it dampen the expression of a number of genes and leads to neurodegeneration. 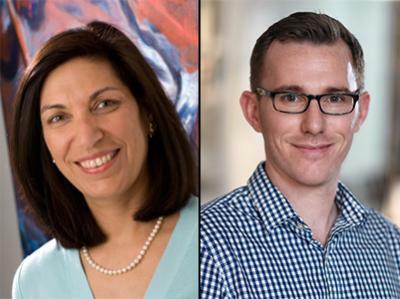 If we disrupt the interaction between polyQ-ATAXIN-1 and capicua, polyQ-ATAXIN1 is no longer toxic," said co-corresponding author Dr. Huda Zoghbi, professor of molecular and human genetics and of pediatrics and neuroscience at Baylor and director of the Jan and Dan Duncan Neurological Research Institute. "These data give us insight into the factors, in this case capicua, that make certain cells more vulnerable in SCA1." When the researchers studied samples from patients with SCA1, they found that some of the genes whose expression was dampened in the cerebellum of mice were also dampened in the cerebellum of human patients. "This tells us that the gain of function of the polyQ-ATAXIN1-capicua complexes we are deducing from the mice seems to also apply to the human condition," said Zoghbi, who also is an investigator at the Howard Hughes Medical Institute. " "We hope our findings will open the possibility of developing future therapeutic strategies for SCA1 by partially blocking the interaction between polyQ-ATAXIN1 and capicua," said Rousseaux. "Nevertheless, finding the other molecular players that mediate symptoms other than ataxia in SCA1 – such as the breathing and swallowing difficulties – will be an important future step." "To me the beauty of this study is two-fold. The results nicely illustrate how important it is to understand the normal function and biochemistry of ATXN1 in order to understand how SCA1 develops," said Orr, professor and Tulloch Chair in Genetics in the Department of Laboratory Medicine and Pathology at University of Minnesota, who also is co-corresponding author of this work. "The second point is that this study very nicely demonstrates how the collaboration of groups with differing expertise and interests can make seminal advancements (and have lots of fun while doing it!)." For a complete list of all the contributors to this work and their affiliations, visit this link. This project was supported by grants NIH/NINDS R37 NS022920, NIH/NINDS R01NS027699-17 and R37 NS027699, R01NS089664 and R01NS100874. Additional support was provided by CIHR Fellowship 201210MFE-290072-173743, Grant No. PF-JfA-1762 from the Parkinson's Foundation, and NIH/NINDS grant F32 NS083091. The project used cores supported in part by BCM IDDRC Grant U54HD083092 from the Eunice Kennedy Shriver National Institute of Child Health and Human Development.